Hutcheson Horticultural has been doing business in the metro-Atlanta area since 1988 and continues to focus on key services that we know are important to our customers. In the next few months, we are going to spotlight some of our services through a series called “Service Spotlight”. We will be offering additional information on each service and welcome comments and questions on the blog posts! Today’s service spotlight is our Design service. 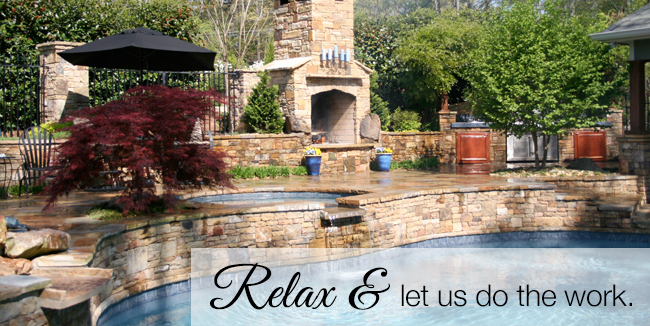 In generating a landscape design for our customers, we consider much more than just creating a beautiful environment. Hutcheson’s design team will produce a customized plan for each homeowner’s specific needs. Whether it is drainage issues, maintenance requirements, elevation changes or aesthetics, our design concepts will encompass a relevant solution to each problem while incorporating a professional eye for a beautifully balanced landscape. Contact us today and let one of our Landscape Architects create a unique design or solution for your home. Careful planning and communication with one of our design experts can help bring your own ideas into fruition and create an outdoor space to be enjoyed for years to come. To request a meeting with one of our designers, contact designteam@hutchhort.com or call 770-924-1001.